Two years ago I added a SSD drive to my office MacPro. At that time I found a very useful blog post showing how to do it. 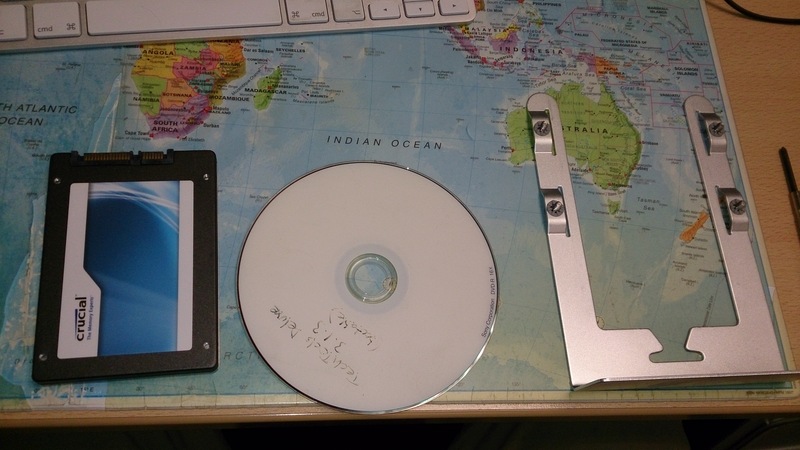 I’ve just acquired another SSD drive and can no longer find the blog post. 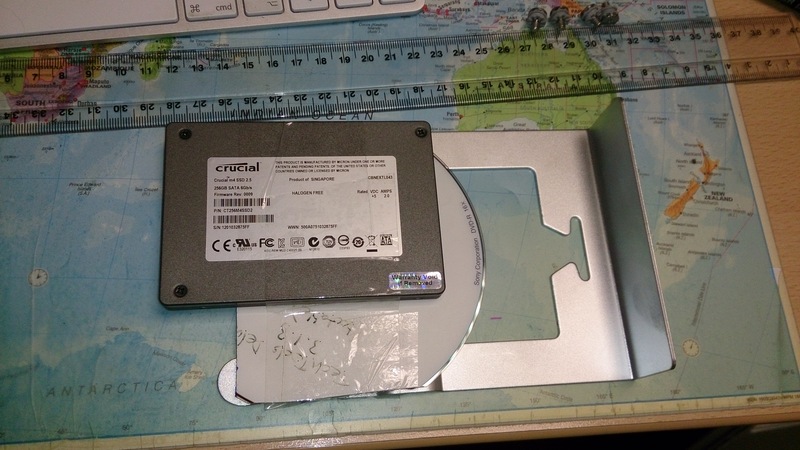 So, I’m posting what I did just to help anyone else out there who can’t find the original post about adding a 2.5 inch SSD drive to a MacPro 1,1 drive drawer/tray/sled without using an adaptor. 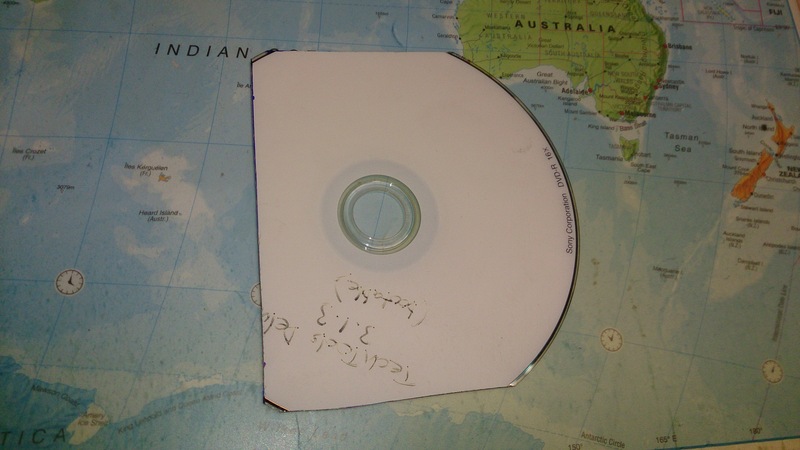 Cut off the sides of the CD/DVD with the scissors. 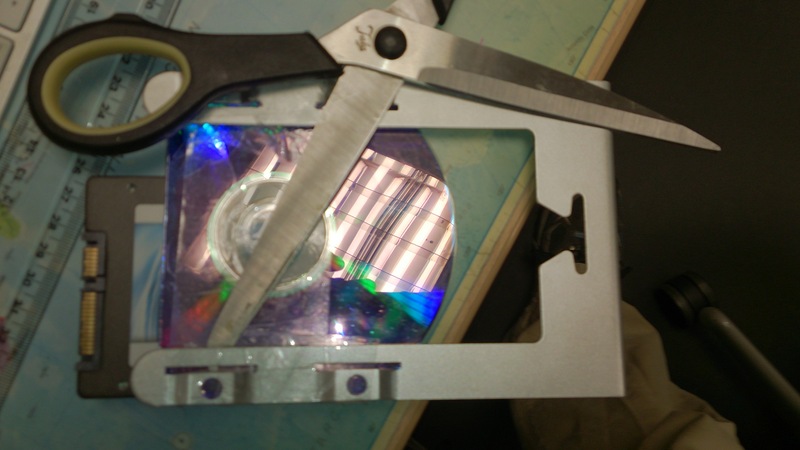 Tape the CD to the sled and then tape the SSD on top of that. 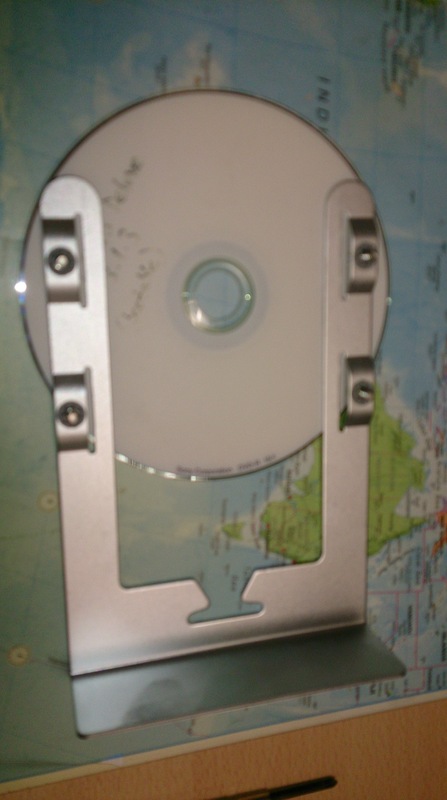 There needs to be about a 20mm overhang, and also the SSD needs to be 2mm in from the edge. 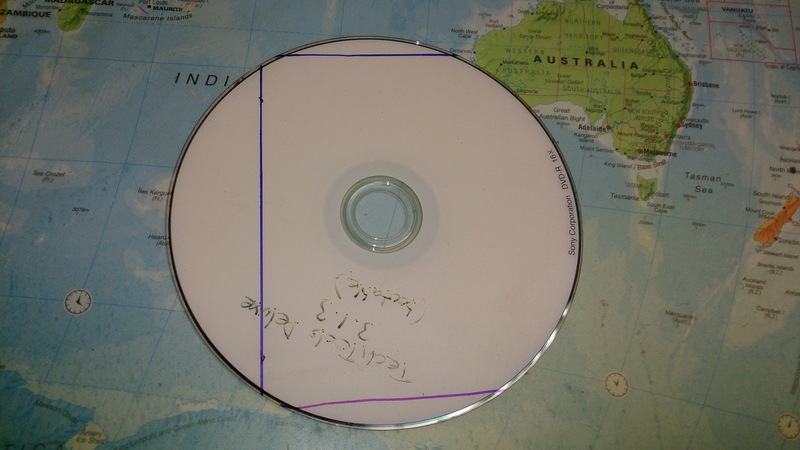 With the scissors cut through any tape that is overhanging underneath. This will allow the sled to side back in to the Mac. Slide the sled back in and the SATA connector should all line up. 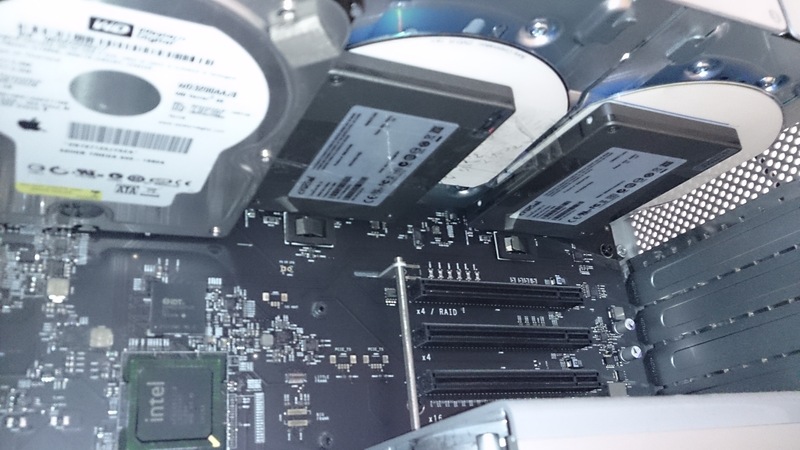 This entry was posted in things and tagged macpro, ssd. Bookmark the permalink.